Not all lenses are created equal, and unfortunately for photographers, quality lenses are quite expensive and necessary to creating great work. Hobbyists who only post photos to Facebook might not notice how much a lens can degrade over time. But for those of us who shoot professionally, having tack-sharp photos with enough resolution for large printing or detailed display is a must. 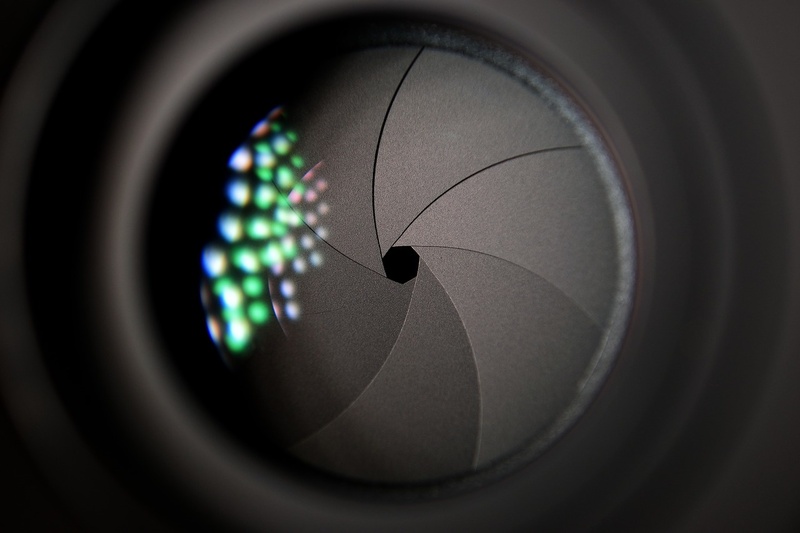 You can use a bright light to inspect the aperture of your lens for signs of wear. A magnifying glass can improve your inspection. If you can see either scratches or oil buildup on the aperture blades, your resale value might not be so high. Mold or excessive dust inside the lens body is another sign to either schedule a repair or clean it yourself if possible. Regular cleaning prevents buildup on your glass. So before you go selling equipment due dust buildup, make sure you're keeping your lenses and filters squeaky clean. I like to keep an eyedropper-sized bottle of lens cleaner plus a microfiber cloth in my camera bag at all times. Unless you've kept a UV filter over your lens for the entire course of its life (good thinking, you clever shooter! ), you likely have at least a small scratch or two on the front element. Assuming they're minor scratches, image quality will actually suffer little or not at all. Smudges on glass can trick you into thinking your lens is seriously damaged; anyway, such a smudge tricked me once. Early on in my career, I had an issue with image sharpness on one particular photo shoot. After the company subcontracting me noticed a slight "fuzziness" to my photos, they told me to check the lens I was using. Then I inspected the rear element of the lens and discovered to my horror that I had smudged it while switching it out from the body, leaving a greasy fingerprint on the glass. Trying to juggle lenses is never fun or efficient, which is why shooting events with two bodies is a good idea. 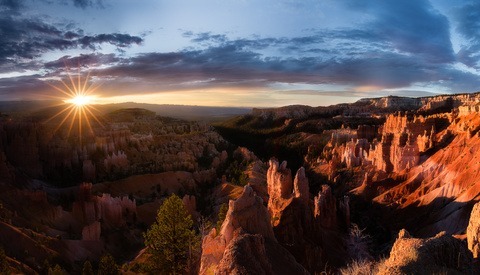 The biggest mistreatment that causes image degradation is mishandling or dropping a lens. This can cause internal or external damage, both of which can affect sharpness (though mainly from the former). Several components within the lens can come out of alignment after a jostle, which in turn creates sharpness issues. It can also be expensive to get a professional assessment on internal damage. Over the years, I’ve repeatedly noticed one characteristic of low-end lenses: They seem decently sharp out of the box, but they wear poorly. 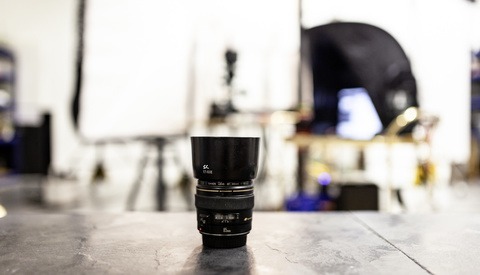 Edit: this article is referring to low-end lenses that have been treated poorly. Good lenses can and will last decades or longer, which is why I'm building the case for them. If you're a professional shooter or even a serious hobbyist, buy quality glass and take care of it. Many photographers have similar stories about the steady and premature decline of lower-end glass, something that isn't an issue with quality camera lenses. Cheap zoom lenses simply aren't built sturdily enough to withstand the inevitable repeated jostling. And they also tend to have less high-quality protective coating on the glass elements. 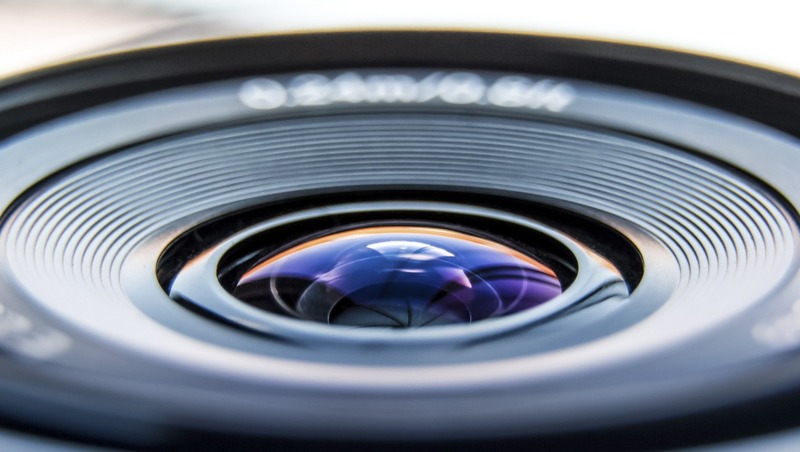 If your lens' zoom or focus rings have become stiff, chances are it's from damage like being dropped or even debris inside the mechanism from situations like shooting on a windy beach. The autofocus mechanism on a lens can also malfunction after a lens is mishandled, causing separate sharpness issues. While the lens may still be operational, oftentimes, the cost to repair these issues outweighs the resale value. Ask a local camera repair technician for an assessment and quote. 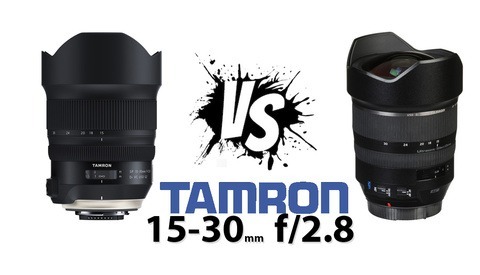 What constitutes a "cheap" versus an "expensive" lens? If you’ve shopped lenses, you know that’s a tough question with no easy answer. The price of a (used) low-end lens can be as inexpensive as a meal at a restaurant whereas a new one can be as expensive as a new car (less common). Of course, most off-brand lenses made for crop sensor bodies are low end, and full frame lenses running into the thousands would constitute the higher end. Still there are some exceptions, involving function, brand, and production. There’s no substitute for careful research and informed second opinions. What have your experiences been with wear and degradation of camera lenses? Share your experiences and comments below. I love how the main article on this site is "Don't buy new equipment to improve your photography" then this article is posted on why "You need to buy a new lens". I'm sure there are reasons for both but posted right next to each other made me laugh. That is sort of funny, but trust me - I have would never take the position that new or fancier gear will improve your skill level. Skill is based on experience, and amateurs often focus too much on bells and whistles (mainly with camera bodies), thinking that more features or new gear will "take them to the next level". I believe that's what the other article was saying, at least. However if you do photography professionally and you or your clients start noticing sharpness issues that are lens-based and not user error, it's time to replace your damaged gear. Thanks for reading, Sean! I think Lens Rentals' Roger Cicala has a bit of a different take on it. The following two links are pretty interesting and I think add to this article. Thanks for the links Patrick. I wish I had more time to research this one, I may have even come out with a different take myself. This article is based off my personal experiences, plus some research and few conversations I've had with camera store employees. I'm adding one of these links to the article. Dumbest article evah. Fake News. The vintage lens market is booming and prices are higher than ever. I have "trashed" vintage glass that equals or rivals today's best glass. I can't speak for cheap lenses since I don't use them, but good quality glass from the past is amazing. Though there are very few that can keep pace with the *best* of today's lenses, depending on what your definition of "vintage" and "best" is. At what point does a lens start to be considered "vintage"? Is it a function of the amount of time that's passed since its inception? Is it determined by the time passed since its discontinuation? Is determined by optical design? Discontinuation of the mount? Your old lenses are clearly well-built. This article is specifically about cheap off-brand lenses that don't last as long but thank you for your feedback regardless. There are also a lot of 40-year old lenses that are made like crap because that's right around when companies started to cheap out on materials, but didn't learn how to do it well yet. 2) If old images looks better it is not because the lens has degraded, it is more probably because the today sensors resolution is higher that the old lens resolution. 1. I'll probably be repeating myself to most of the commenters: Your old lenses are clearly well-built. This article is specifically about cheap ones that don't handle wear as well. I have a fantastic Nikkor that's 15 years old and still as sharp as when I bought it, so naturally I agree with that. 2. That's also a legitimate reason. 3. Good point, however too much time at a windy beach could be bad enough for a (new) lens that someone might be tempted to clean it out themselves. 4. Depending on what you shoot, you're right that using the cap isn't so clever. Lens caps slow you down, and you could miss an important shot if you're putting it on and taking it off every time. 5. They sure are. I'm not proud to admit I've dropped lenses, but things happen when you're scrambling at say, a fast-paced event. People seem to be conflating "cheap" and "old" with "affordably priced vintage" (such lenses were not, at the time, affordable either). There are plenty of vintage lenses that do very well with modern sensors - a good number of the Contax Zeiss C/Y lenses can keep up with 36/42/46 MP sensors without any problem. They're also very well built. But those aren't what he's talking about. There are a fair number of Canon/Nikon lenses that are older designs, and many of them have been updated as the demand from image sensors has increased. Some lenses that perform well on my 12MP D700 are abhorrent on my 36MP D810 (I had to update many of the AF-D Nikkors I had because they were soft and full of aberrations on the 36MP sensor - using them on it would negate a big advantage of the new camera - not to mention improvements in autofocus technology). Anyway, I don't see what's objectionable in this article at all. All seems pretty straightforward to me.